Home » At TMV » How will alarmists stop the Sun? How will alarmists stop the Sun? That is a legitimate question to ask if astronomers are correct about the future of our solar system. 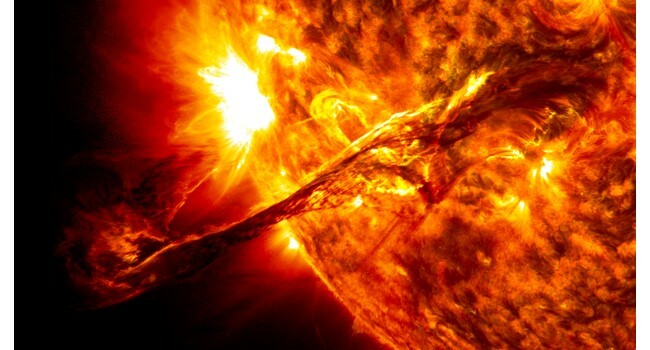 To recap, astronomers say that the Sun is ever-so-slowly growing brighter. As a result, planet Earth is ever-so-slowly growing warmer. How Mankind responds to such irreversible all-natural climate change remains to be seen. It isn’t even on the radar of climate alarmists. There lies the rub. Those wailing the most about climate change aren’t talking about the irreversible all-natural climate change that is the real threat to Mankind’s existence. Instead, they insist that climate change can be stopped because it is allegedly “all man-made”. Don’t bother telling them what the settled science of astronomy says. You might as well be walking on the Sun.